Without a dought this has got to be the best service you could receve in perthshire. Must agree with everyone else a pure star. And will always use Fair City I.T. if i ever get a problem again. I should add that there prices are much cheeper than any place else. I have had the very best service from Christopher. He is patient, reliable, very helpful and extremely good at explaining how things work. I would recommend him to anyone who need help or advice. Fast,reliable,efficient service from Chris at a very reasonable price. Chris helped me purchase my new system, installed it and was very patient at teaching me how to get to grips with it - definitely the best of all computer services I have tried. I am happy to recommend him to others, especially good with older clients less familiar with new technology. Chris is the most knowledgeable and helpful computer guy I have used. His friendly manner is right up my street, with no sign of patronising, just what an OAP needs to allay the fear of the damm machine !! He is welcome in our house any time, particularly as his basic charges are surprisingly low, and continuing support often happens and results in a shrug of his shoulders when asked, how much? Christopher is a neighbour of mine and has always attended to my computer needs immediately. 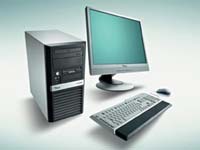 He has always solved my computer problems in a very efficient manner and has always been on hand to help a braindead computer operater like me.I would have no hesitation in recommending him to anyone with computer problems. Fair City Solutions were a saviour, they do exactly what it says on the tin, there helpful and friendy approach to sorting out problems was a breath of fresh air, arrived at the time set and left after completion explaining what they had done in simple terms. First class service received. Speedy, polite, friendly. Very helpful and patient explaining issues with computer etc…! All costs reasonable. Would thoroughly recommend to all. Computer Wizard -Do you need someone to fix your computer? Look no further! Christopher is reliable and very efficient and his prices are very reasonable.I can honestly say he is a pleasure to deal with. My Godsend - When you are brain dead when it comes to computers, it was a godsend that I found Christopher who fixed the problems I had in jig time and at a very reasonable cost. I don't have a problem of ever having to call him again. Without Christopher--there would be no computing for me. His patient method of teaching was and is the answer to my problems. He is an I.T. STAR!! Thank you Christopher!